Can Wooden Doors Stand the Test of Time? If you are considering updating your front door, you will need to compare the features of composite and timber options. Both can enhance the appearance and security of your home, but which offers the best long term investment? 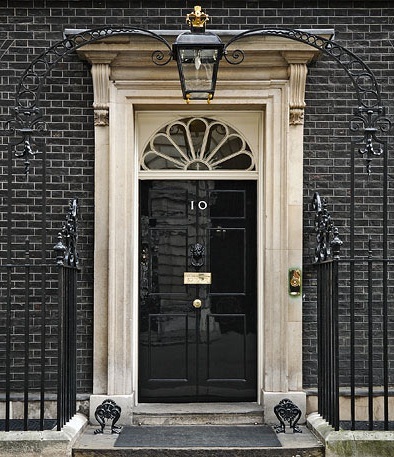 The most photographed door in the UK has to be the entrance to 10 Downing Street. Although Georgian in style, this paneled door is actually made from bomb-proof metal with a high gloss painted finish. Solid oak front doors provided the entrance to most Georgian homes and initially No.10 was no exception. In the 1730s a black oak door was fitted. Well maintained and regularly repainted (including a change to dark green from 1908 to 1916), the door retained its grandeur for 260 years. The decision to replace the original wooden door was a measure to heighten security following IRA attacks. Visitors to the Churchill Museum can still see the original on display. Westminster Abbey. Scientists removed small samples of this battered door and tests revealed that it dated back to Anglo Saxon times. There is evidence that this solid oak door has been cut down in size. When it was originally installed in around 1050, it was approximately 3 feet taller. Further tests on the door suggest that the flat surfaces were covered in animal hides and decorated in an elaborate design. Until recently, this rich history was unknown. The door has been in use and hasn’t received any special maintenance. Despite this, the natural durability of the timber has stood the test of time. Not every wooden door can be expected to last for 968 years (and counting), but this clearly demonstrates that you can get excellent value from investing in solid oak doors. Although composite doors are popular, many architects and home owners are opting for the character and unique style of wooden front doors for their contemporary builds. Working in timber, door manufacturers including HINSON Custom Made create bespoke designs to fit the exacting dimensions of each property. Each door is fully compliant with building regulations and can be finished to suit your tastes. We recommend a natural finish, where a UV protective translucent coating is applied to enhance the properties of the timber. If you prefer a painted finish, simply let us know your chosen colour. If you are looking to replace an existing door, or add the finishing touches to the front entrance of a new build, get in touch. HINSON Custom Made is happy to discuss your requirements and provide a quote. Older PostReplace or Repair Sash Windows?